Double Six Beach Bali - Lovely Seascape And Vibrant Sunset! Double Six Beach offers a charming beachfront and relaxing atmosphere from daily activities. The seemingly endless golden white sand, fenced by shady green vegetation, and also the ranks of bars and restaurants along the coast. The surrounding area is dotted with luxury resort, spa, shopping mall and more. This beach is easily accessible and just 30 minutes by car from Ngurah Rai International Airport. 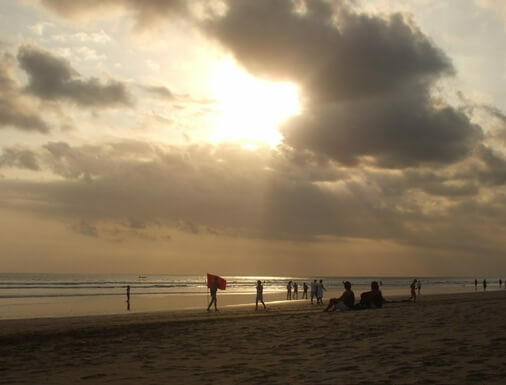 The beach is located in Seminyak Village, Kuta District, Badung Regency, Bali. This place is still public accessible and free of entrance fee. 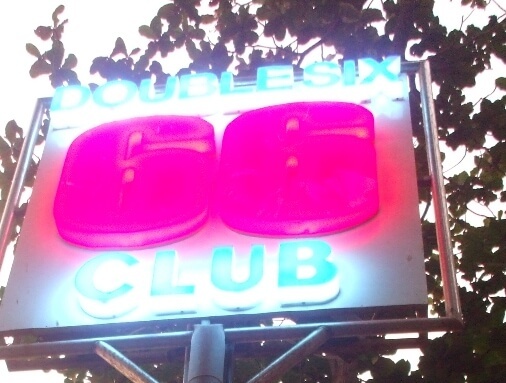 The name "Double Six" is taken from the name of a club, which previously existed in this area. This beach is recommended for a seaside stroll, enjoy the tranquil atmosphere, and also for other activities such as: swimming, sunning, volleyball, football, bungee jumping, and even horse riding. The sandy bottom and wave at Double Six are well-suited for beginner surfers. 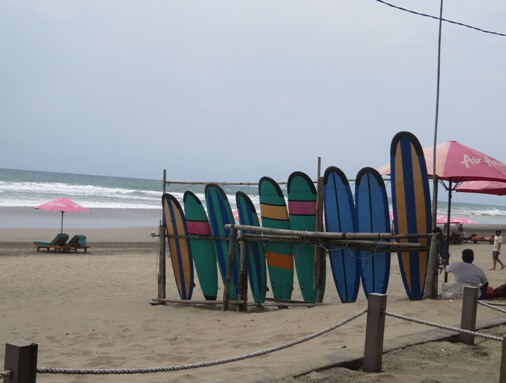 Visitors can rent surfboards available on the beach. If you want a bit more fun and intense, you can go to Bingin, Impossible, Padang Padang, or Suluban Uluwatu. This beach is one of the island's best spots for sunset. At sunset time, this beach will be covered by romantic feel and pure magic. The view along the coast and the blue water are mesmerizing and peaceful. The beach cafes luring the visitor to experience the unique moment with the colorful parasol, bean bag and mini table. This lovely seascape draws plenty of visitors all year round.